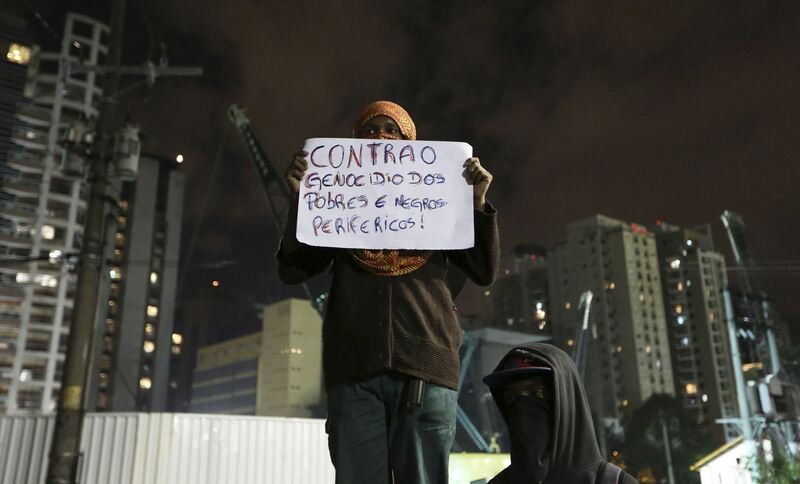 Members of the Organização Anarquista Socialismo Libertário (Libertarian Socialism Anarchist Organization, OASL) have participated in the recent struggles in Brazil against the rising transportation tariffs, in Sao Paulo, in Brasilia and in cities like Mogi das Cruzes, Marilia and Franca. Members of other organizations linked to the Coordenação Anarquista Brasileira (Brazilian Anarchist Coordination, CAB) have, in other states, also contributed to the struggle. Below, two militants of OASL, Pablo Pamplona and Thiago Calixto, who have been participating in the struggles, respond to a few questions from Jonathan Bane of Anarkismo about the recent process of popular street mobilizations in the country. They emphasize the need to create ongoing grassroots organizations through which people can take control of their daily lives. For the full interview, click here. 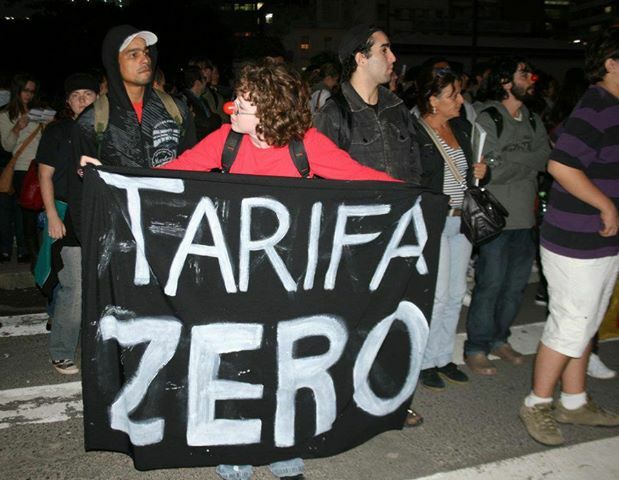 The struggles against the tariff increase [in Brazil] have been organized mainly by Movimento Passe Libre (Free Pass Movement, MPL), which has been organizing and convening struggles around the question of transport since 2006. The movement – with which we have great affinity and proximity – retains an autonomous and combative character. It builds its struggles independently through general and horizontal participation. It doesn’t bring sound cars to the streets, the statements are always passed around in minstrel form (someone shouts out the notices and the people around them repeat the same words, so that a greater number of people can hear) and the passivity of protesters is never encouraged; on the contrary, broad participation and action is always encouraged. This character, quite characteristic of the struggle against the rise [in tariffs], has earned strong support from the population, which, in our view, is tired of demonstrations in the traditional model of the left, around podiums and worn out speeches. Civil disobedience and direct action, as well as grassroots work, have been consistently practiced by the movement. At the same time, the fact that opposition to [political] parties has, to a large extent, been appropriated by a conservative and nationalist sector, sometimes stimulated by the extreme right, and has extended to the left as a whole, including trade union and social movements, should be cause for concern. The mainstream media has also contributed to this advance of conservative forces and to the weakening of the demands relating to transport. When the protests against the last [tariff] increase stopped in 2011, the MPL discussed the amplification of their discussion. They made an assessment that this should continue with the struggle at another level of discussion and raised a campaign for Tarifa Zero (Zero Tariff). The movement took the discussion on public transport to a political discussion, of the public management of resources and the right to the city, arguing that real public transport, as well as other rights such as health and education, should not be charged for, but guaranteed by the government and paid for with incremental taxes: who has more pays more, who has less pays less, who doesn’t have doesn’t pay. With this new campaign, the movement could sustain the internal political discussion and external grassroots work in schools and communities that, in our view, was very positive, for two years. We believe that this contributed to qualifying the militants for the construction of a new, bigger and bolder phase of struggle, as it in fact was, even since before the first big action. They just weren’t expecting that the mobilizations would grow so much and, largely, completely bypass what had been planned. Another factor that could have contributed is that, after eight years and for the first time in the struggle against the increase in Sao Paulo, we have a mayor from the Partido dos Trabalhadores (Workers Party, PT). The struggle also interested strong conservative sectors further to the right, which have been trying to erode the image of the new mayor, and with it, that of the federal government. A key element was the position of the media that, at first, positioned itself against the movement. As the protests grew, as well as the popular support – coupled with massive repression which reached a significant part of the reporters from the large media companies – the media started changing its position and moving to defend the movement. They preferred, however, to promote their own agendas and encourage pacifism, civility and nationalism, criminalizing the more radical sectors. Finally, we can identify that technology in general (cameras on cellular phones, for example), notably the internet, allowed for the dissemination of what was happening in the protests and that this was boosted by social networks. This variable is also relevant. None of this would be possible without the movement’s years of building struggle, or without this feeling of revolt against state repression. However, social networks also play a key role, as we said. Facebook is one important tool for MPL, and its main point of reference. The call to the actions was done through “events”, public notes have been released making clarifications about the struggle and, especially, it is through them that the vehicles of mass communication are debunked. 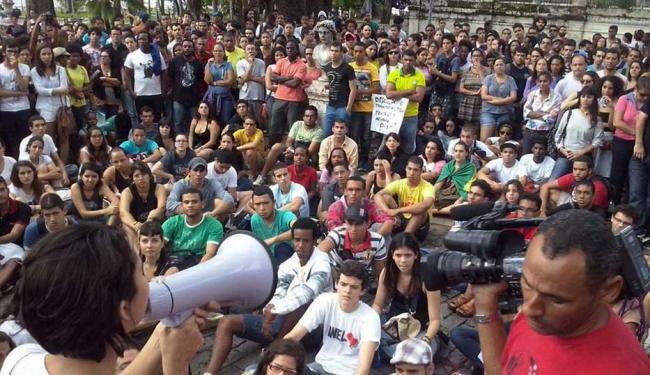 The first demonstration had about 5000 people, and already had live coverage on Jornal Nacional, the country’s main television news. The same was to continue with the following actions: the mainstream media kept talking of struggle (even before the tariff reduction, it was already on the cover of many of the country’s major newspapers and magazines). Initially, the protesters were labelled as vandals, youth without a cause and other positions trying to delegitimize the movement. So the whole country was talking about the demonstrations, which was fundamental, and through social networks shared videos and information that showed another side of the story. The repression, contrary to causing fear, encouraged the revolt of the population and, in Sao Paulo, the government halted the most massive repressions by the Tropa de Choque (Shock Troop). The demonstrators, heavily influenced by the mainstream media, began denouncing any acts of violence and “pacifism” became one of the main common senses of the protests. In our assessment, recent events confirm what the anarchists have always advocated: it is not enough that the people take to the streets; it is necessary that the people conquer power, from the bottom up, at their own rhythm and organization, not by taking the state, but through the construction of participatory and popular organizations. For this, grassroots work is indispensable. If there is no prior preparation, political discussion is abstracted and co-opted by the more organized sectors of society. In the current case, the big capitalists and the state. A large part of the population that is in the streets have no accumulation in political discussions and just reproduce what they have seen for a long time through the lens of the dominant ideology. They were conditioned to convert the demands to issues that matter to the right, like the “pride of being Brazilian”, “less taxes”, “less impunity,” etc. Social networks are not good in and of themselves and don’t, in any way, replace the importance and necessity for popular organization and permanent grassroots work. MPL maintains that any bus fare is theft, since it is a public service and, as such, should be free. The movement believes that the question of urban mobility is directly related to other basic rights, such as health, education and culture. In addition it defends that the right to come and go not be restricted to getting to and from work. The right to the city, that every citizen can enjoy the things that the city offers, is then a central and very profound point. Decriminalization of social movements is also an important issue and should gain momentum with the arrival of the World Cup. But in any case MPL maintained before the repeal of the increases, and we share this analysis, that the agenda of the struggle should continue being the immediate reduction in tariffs. We are concerned that a struggle for everything would end up as a conquest of nothing. Therefore we support the focus on tariff reduction. From the moment that the reduction is won, the fight could advance to the next steps and, through the accumulation of short- and medium-term gains, the movement could be increasingly strengthened. This point of view was shared by virtually the whole left. However, with the winning of the reduction, other demands have been raised. Some by the left, such as the need for zero tariffs, an end to the repression of social movements, the advance of struggles for rights, etc. Others by the more conservative right, or even by much of the common sense that pervades many people who are on the streets. 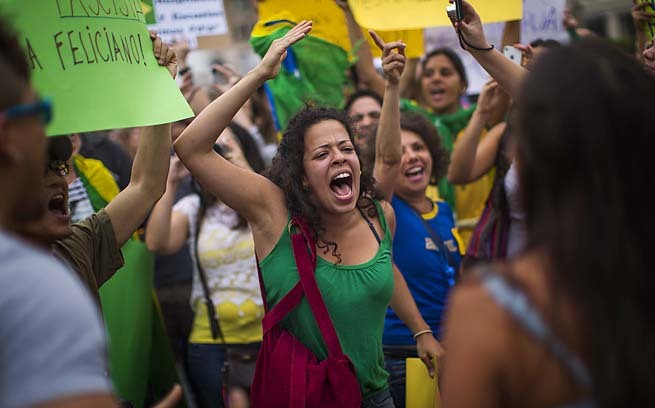 The size of the demonstrations led the population towards optimism, to thinking that “Brazil is changing” and to the will to demand everything that comes to mind. In our view, it is important that our sector, that seeks to build autonomous and combative popular struggles, resumes this continuity of issues. In recent days the struggles have won over a more plural crowd. In the central regions of the city we have noticed a collection of forces composed more or less as follows. A more autonomous and combative sector, linked to MPL, which is strong and spearheaded the beginning of the movement. A more traditional left sector, with parties and movements, which had significant involvement since the beginning of the protests. A majority sector of new people who have taken to the streets (research has shown that most people had never taken to the streets before), and that reproduce a lot of the common sense; they are mainly conservatives and support demands linked to the conservative agenda. The repudiation of political parties, which ended up being a repudiation of the whole left, comes from this wing. Finally, there is a sector, certainly the minority, that combines the extreme right, in some cases linked to military sectors, of big capital and landlords. The question that is still not clear is what the capacity of these new people that are the majority is to adhere to proposals of combative class struggle, though independent of political parties and the state. In terms of class, the demonstrations in the central region of the city are composed, mostly, of who is or has been in higher education. However, it is possible to notice the participation of workers and residents of the periphery; the majority outside of the organized left. In the peripheries social movements have held very important demonstrations of markedly popular character and with positions further to the left. Perhaps the continuity of the protests should be sought in these initiatives, by those who actually want to build alternatives of popular power. In terms of numbers, the country has come to mobilize over one million people (0.5% of the population); in Sao Paulo we reached a few hundred thousand in a few days. There is a very large division in the general reaction [to the protests]. In the first demonstrations we had the following picture: there were those that denounced the demonstrators as freeloading vandals, but even then it was not a majority position. There were those who argued that the demonstrations were peaceful, and those that denounced state violence. However, given the widespread manipulation of the media and the lack of preparation of the left to respond to the accusations, today we have a large number of people that accuse any more radical direct action of vandalism. It is an attempt to separate the peaceful protesters from the violent ones and, unfortunately, in a few cases, the government has tried to place the blame for the violent actions on the anarchists. This was the case in Rio Grande do Sul (RS), with the invasion by the police of the local of the Federação Anarquista Gaúcha (Gaucho Anarchist Federation, FAG) and the attempt to blame them not only for the acts of vandalism, but for the accumulation of support for right-wing initiatives. This is really absurd. First of all, violence is directly propagated by the system in which we live. Violence is using daily the precarious transport system that we have, violence is dying in the queues of public hospitals, violence is the education of our public schools, violence is the exploitation that we suffer daily when we work. This has to be clear. Capitalism is a system based on violence. We are violated every day. And when the people complain, mobilize, they are again violated by the state, as has been the case with respect to repression throughout the country. The violence of the demonstrations is in response to this situation to which the population is subjected every day. We think it is important to emphasize the importance of organized and continuous grassroots work. The image of hundreds of thousands of people spontaneously occupying the streets brought new optimistic airs, of the possibility of concrete change outside of the polls. For the social imagination, the occupation of the streets became the new terrain for doing politics. But, thanks to the distortion of the facts, it has also become the only terrain. The right is trying to construct the idea that all political organization is inherently opportunist and corrupt, while grassroots work is supposedly unnecessary, since, as the protesters chanted, “the people have awoken” (and when were they asleep)? The streets are a fundamental tool to make the struggle public, but it is not in them that the public debate and political training will be completely carried out. It is through daily struggle in the social, student, trade union and community movements that the people build the necessary power to win their emancipation. What we are seeing today is that, if on the one hand the left has the potential to mobilize, some of its ways are very worn. It is necessary, in our view, to emphasize grassroots work and to adopt a strategy that contributes to this emancipatory project. In our view, in the demonstrations, in the popular movements stimulating class struggle, combativeness, independence, democratic participation; in short, trying to build popular power. We should not leave aside the symbolic struggle. The key point is that this potential must be converted into a social force that contributes to our project of a new society; and this is not by way of the state or agreements with capitalists. The people need their own alternative. If there is no popular organization, struggles will continue to be lost. As anarchists, we maintain that this organization will be better prepared if it is built from the bottom up, with a strong base and capable of taking the struggle towards paths that interest it as a class. We live in a historic moment, a turning point in the mood of the population. We have had an immense quantitative advance in the struggle, and if we want to advance even further we need to focus on grassroots work where, with daily struggle, we can learn from our mistakes and successes. Forward in the building of popular power! 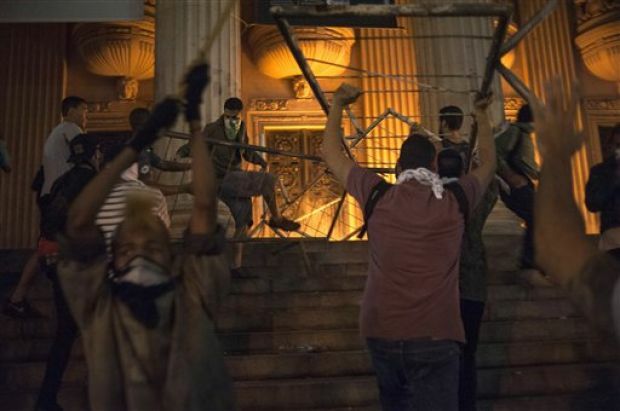 As mass protests against neo-liberal policies continue in Brazil, the authorities are now trying to pin the blame for the unrest on the Gaucho Anarchist Federation (FAG), raiding its office on June 2o, 2013. Below, I reproduce an international statement of solidarity with the FAG. In Volume Three of Anarchism: A Documentary History of Libertarian Ideas, I included excerpts from the FAG’s statement of principles, which advocates a form of “especifismo,” namely that the task for anarchists today is to participate in and be part of popular struggles against capitalism and authority. The massive protests in Brazil, and the many years of work of Brazilian anarchists within broad based social movements for change, illustrate how fruitful such a strategy can be. In Porto Alegre, on June 20 last, about 15 officers from the Civil Police raided the Ateneo Batalha da Varzea, the political and social premises where the Federação Anarquista Gaúcha is located, without a warrant. In this city where, since the beginning of the year, there have been massive demonstrations for popular demands concerning public transport, health, education, against corruption, with the aim of creating social change for their locality and their country. This is a country where thousands of people are taking to the streets to denounce that everything is rotten and that it is necessary and urgent to change it. Faced with so much opulence of the powerful, with the stadiums being built for the Confederations Cup and the FIFA World Cup, faced with so much sustained repression, displacement and militarisation of working-class neighbourhoods, the almost total neglect of public health and education, the usury and theft that – as a corollary – is the cost and quality of transport. And now they are seeking to criminalise the FAG, and make it responsible for all the anger and fury that the population of the whole country feels. They are seeking to accuse the FAG, saying that they came across anarchist literature in their premises. What did you think you would find in anarchist premises? The FAG is accused of being in collusion with the far right, when its work has been in places that the right rejects, such as the Popular Resistance committee, the waste collectors movement, trade unionism, the peasant movement, the student struggle, activities to involve more comrades in practices of a libertarian nature. And there are more and more things that separate the FAG from that which has been its enemy in a historical constant, such as the raid that occurred in 2009 under the orders of governor Yeda Crusius, when the anarchist organisation held her responsible for the assassination of activist Elton Brum. So, it has itself been against the powerful, those at the top and their allies in power. This raid is above all ideological, because it is the persecution of our ideas that is principal. It is this that they want to erase: all meaning of rebellion and liberation that our struggles can adopt; class independence, direct democracy, the building of people’s power. We therefore express our greatest concern and alert on the issue and will follow up on the matter by responding where we find the stories of our struggles! 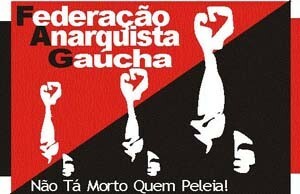 Down with the repression of the Brazilian people’s movement! Down with the criminalization of the FAG! Forward with those who struggle! 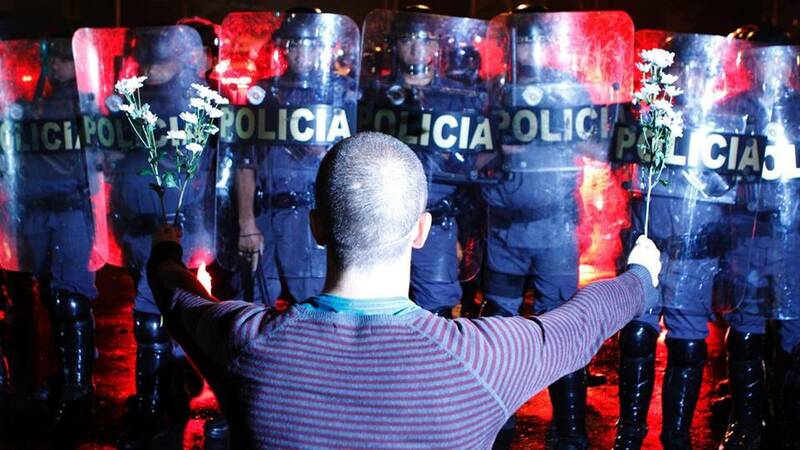 Here I reproduce two recent pieces on the protests in Brazil. The first piece is by Peter Storms, from ROARMAG.org. The second is by an active participant, part of a movement for free transportation that goes back to 2005. 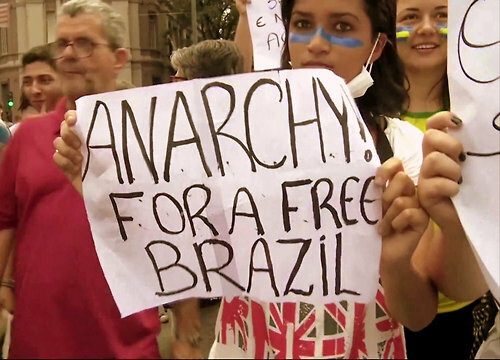 The Brazilian anarchist movement has deep roots. For Neno Vasco’s 1920 comments on anarcho-syndicalism and anarchist communism, click here. 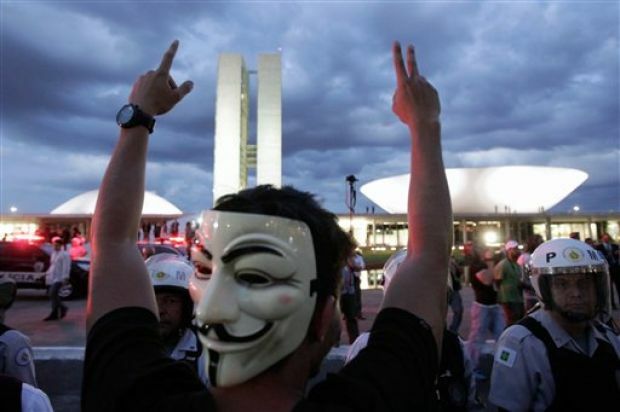 For contemporary Brazilian anarchist writings, click here. Brazil has seen strong economic growth in the past decade, although this is slowing. In 2010, the economy grew 7.5 percent; for 2011, the official IMF estimate is 2.7 percent. This temporary slowdown is supposed to be followed by stronger growth in 2013, although, with IMF statistics, you can never tell. However, the parallel with Turkey — also a rapidly developing economy gradually moving into slowdown — is striking. Economies like Turkey and Brazil are becoming quite an important force in the world economy. What happens there matters to the rest of the world. Better watch out — and better be prepared to extend the hand of solidarity when it is needed. 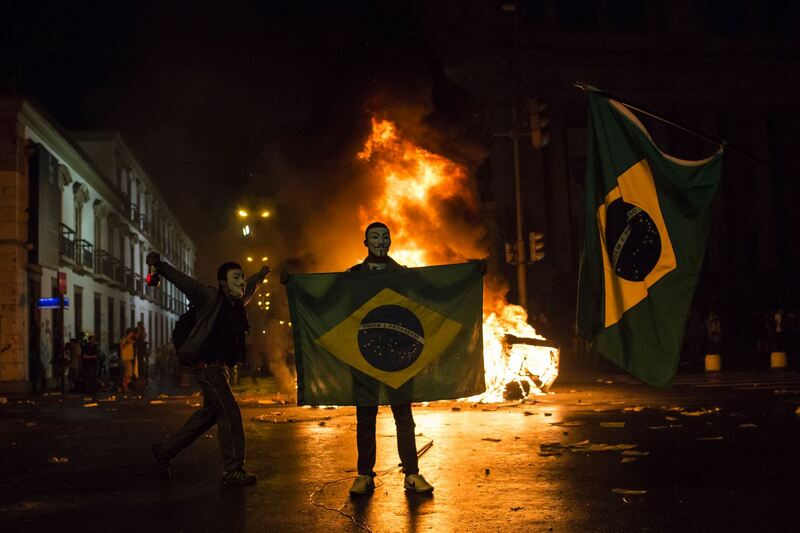 Right now, what is happening in Brazil and Turkey is revolt. In Turkey it was the defence of Gezi park that provided the spark. 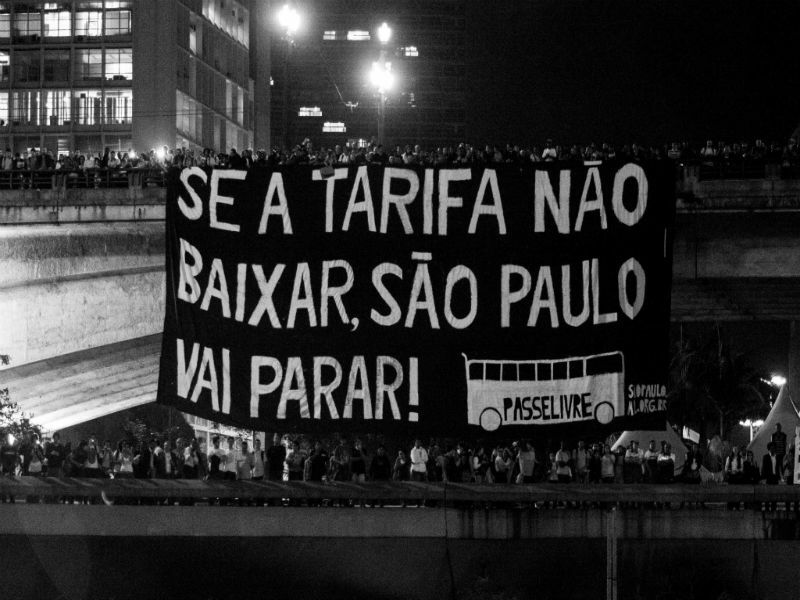 In Brazil, it is transport fares that drive people to the streets in anger. On 2 June, authorities in the metropolis of Sao Paulo raised the price of a single fare from $1.40 USD to $1.50. This hike, moreover, is being made in a context of 15.5 percent inflation. And for thousands of Brazilians, it proved to be the proverbial last straw. From June 10 onwards, the city was rocked by four consecutive days of demonstrations and riots. On June 13, 5,000 people took to the streets and clashed violently with police. According to the BBC, “the demonstrators were mostly university students, but the authorities said there were also groups of anarchists looking for a fight.” The idea that some students might be anarchists by conviction, and that some anarchists go to college because they like to learn, apparently does not occur to either “authorities” or the BBC. And the ones “looking for a fight” were above all the rabid police troops themselves, who used excessive amounts of teargas and rubber bullets against mostly unarmed demonstrators, some of whom did attack shops and set fire to tires. But that’s what desperate people do if you make their lives even harder by raising the prices of public amenities in a context of rapid inflation. Overall, more than 50 people were left injured and the number of arrests exceeded 200. According to the BBC, “police say they seized petrol bombs, knives, and drugs.” Sure. And yes, “police acted with professionalism”, according to the state governor. Obviously. After all, repression is their profession. All of this was reported on the BBC website on June 14. The next day, the Guardian had more. 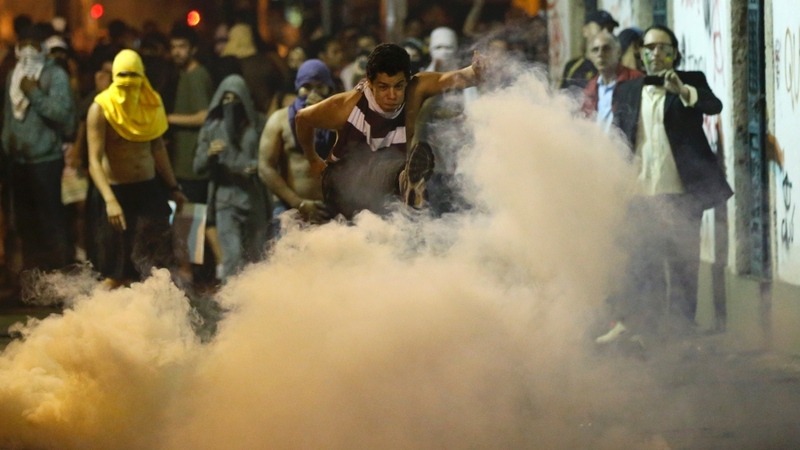 Demonstrations in Sao Paolo, Rio de Janeiro, Porto Alegre and the capital Brasilia itself; 130 people detained; at least 100 demonstrators hurt; 12 police officers injured as well. At times, police attacked entirely non-violent crowds. At times, demonstrators displayed their anger by painting graffiti onto walls, smashing shop windows, setting garbage on fire, and so on. According to police, they decided to attack because the protesters took a different route from the one agreed upon with authorities, and because they threw objects at police. The police charges themselves were ferocious, replete with rubber bullets, tear gas and truncheons. Even the mayor of Sao Paulo was forced to admit that police have not been following “protocol” and announced an official investigation. Why the anger? Of course there’s the price hike for subway and bus tickets — but there is more. “It’s about a society that is sick of corrupt politicians not making good on their promises to make improvements…” said one 24-year-old protester. “We want decent education, healthcare and transportation. That’s what the fight is all about.” It is the same story all over again: while the state pushes for economic growth, inequality grows. People protest, the police attack, and the revolt deepens and broadens. 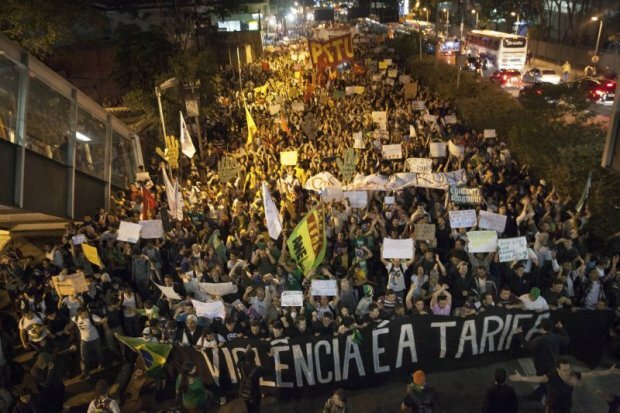 But there’s more going on in Brazil than protests against the rising price of transportation. There is revolt in the countryside as well. The fact remains that Brazil has built its neoliberal capitalist economy on the back of slavery, land robbery and downright genocide of its indigenous population. The struggle against colonialism and for indigenous liberation continues unabated. In this struggle, communities clash with all kinds of resource exploitation and infrastructural projects that form the building blocks of neoliberal development. 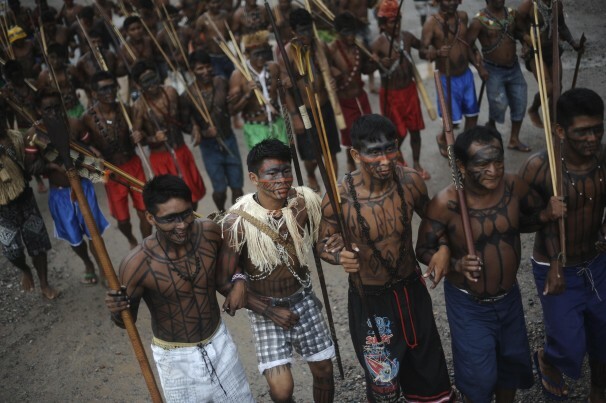 In recent years, numerous actions have taken place against a giant dam project at Belo Monte. This project threatens to harm the lands and ecosystems on which indigenous communities depend in order to make a living. On May 28, there was an occupation of the building site — not the first of its kind. 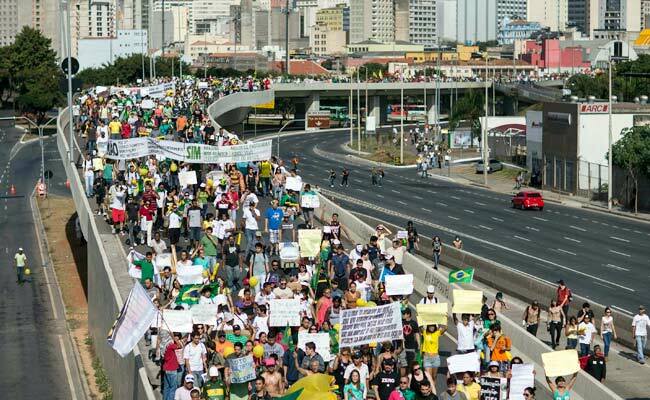 On June 6, meanwhile, there was yet another major protest rally in the capital of Brasilia. In the meantime, a shrill light is shed on a colonial and genocidal past that, sadly enough, continues today. Recently, a previously unpublished report by the state institution responsible for indigenous relations surfaced detailing the state’s treatment of indigenous people, and containing a chilling series of horror stories — ranging from thirty villagers being attacked and killed from the air with dynamite, to the purposeful spreading of smallpox, a deadly disease, in order to get rid of people. The list goes on, exceeding 1,000 crimes specifically mentioned in a 7,000 page text. The report was submitted in 1967, but “disappeared”, as did so many of the victims. Only this spring, it reappeared, a fate that was not granted to the victims themselves. In the meantime, the military dictatorship has gone, but the terror instigated by landowners and agricultural capitalists against indigenous people and landless peasants continues regardless. So, fortunately, does the resistance. In Brazil, the indigenous people are confronting an enemy that is not just colonial but neoliberal. They are attacked and murdered because they are in the way of profitable export-oriented agriculture, and of the giant infrastructure needed to feed energy to Brazil’s rapidly developing industries. The same neoliberal monster that drives the prices of subway and bus tickets to unbearable heights is driving the indigenous people from their lands; marginalizing the poor in the favelas; and keeping millions of young people out of university and out of work — just as it prioritizes investment into useless World Cup stadiums over investment in much-needed schools and hospitals. In this sense, demonstrating university students and occupying indigenous peoples may be fighting different fights, but they are ultimately part of the same struggle — the struggle of humanity against neoliberalism, and of the self-liberating people against an oppressive state apparatus built on racist and colonial foundations. Better keep an eye on how that dual struggle unfolds in the coming weeks, months and years. After that, it is impossible to list everything that followed: the fight against the increase in 2006, when for the first time the demonstrators exceeded the hundreds and we gathered thousands of people in the demonstrations that we called, and many, many more activities. I remember how hard it was to speak about Zero Fares at that time – we were simply labelled as crazy by everyone and it took a huge job of training, preparation and discussion, seminars, lectures, and a myriad of activities until the proposal began to be understood and minimally accepted by different sectors of society, including within even the left. 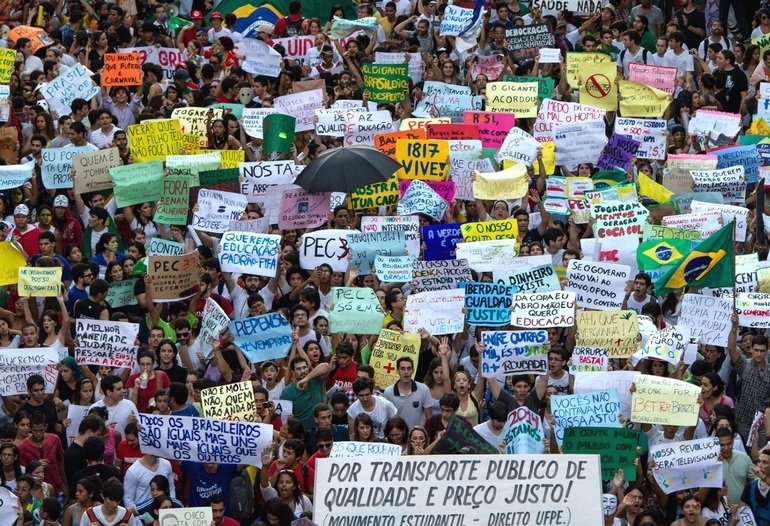 All these collective efforts in order to widen not only the organization but also the ideological aspect of the struggle, of convincing the population about the correctness of this agenda, I now see being added to the spontaneity of the thousands that are coming out onto the streets today – in São Paulo but also across Brazil and in many cities throughout the world. And from the merger between organization and spontaneity, we are witnessing this moment, rich in mobilization, in the development of practical direct action, in horizontality and autonomy, principles which are dear to the movement. 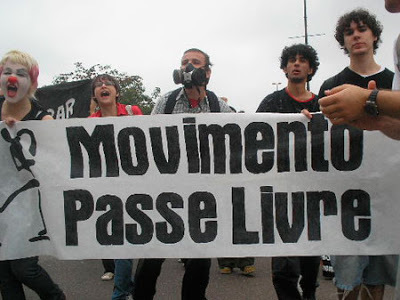 The organization of the MPL is adding itself to the courage and strength of thousands of people, from all walks of life, who with all the violence and brutality of the State have faced repression, trial and all the manipulation of the mass media, and are continuing to rock São Paulo and threaten to stir up the whole country in a difficult process of analysis and foresight. Thus we come to the present, the culmination of all our history, without doubt surprising all expectations. We have arrived at the centre stage of national politics, gaining unprecedented prominence and recognition. I do not know what will become of it all – beyond being sure that the repeal of the increase will come about in São Paulo. One way or another I know that I, and many others besides me, today hold enormous pride in having contributed in some way to writing this story. With great conviction, even in the worst moments of doubt and distress, we carried the knowledge that we would never regret it all. A certainty based on a gamble, because when we fight nothing is ever guaranteed. The only thing I keep thinking now is: it was worth it. We are writing History, friends, friends, comrades, comrades in struggle and class. N eno Vasco (1878-1920) was a Portuguese lawyer and anarchist active in the Brazilian anarchist movement from 1901 to 1911. He maintained a presence within the Brazilian movement after his return to Portugal through his writings in the Portuguese anarchist press. His posthumous publication, A Concepção Anarquista do Sindicalismo [The Anarchist Conception of Syndicalism] (Lisbon: A Batalha, 1920; republished 1984), was particularly influential in the Brazilian movement. It was through writings like these that the anarcho-syndicalist movements in Latin America remained committed to anarchist communism as their ultimate ideal (see Anarchism: A Documentary History of Libertarian Ideas, Volume 1, Selections 58 & 95). Vasco answers the objection of some anarchists (such as Luigi Galleani, Volume 1, Selection 35) that anarcho-syndicalist organization is just a new form of government, as well as dealing with more common objections to anarchist communism. The following excerpts from Vasco’s book have been translated by Paul Sharkey. 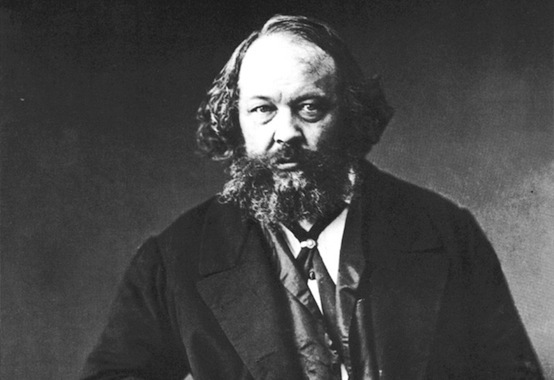 I have now set up a Neno Vasco page with a much lengthier excerpt in which Vasco criticizes Kropotkin’s more optimistic approach to anarchist communism and argues for a flexible approach to economic issues in order to prevent anarchist communism from becoming its own imposed dogma. The revolution must of course socialize and make public services of every branch of production, transportation and distribution key to the operation of a modern society. And, for the organs that are to both manage and implement such services, we need look no farther than the respective associations of workers – local groups, these groups banding together at the local level to run the industries they operate, insofar as they operate them, in that locality (production, storage and delivery of basic goods and clothing; civil construction; urban transportation, power and cleaning services, health and educational services, etc. ), with the local branches and unions uniting to run federal services, such as the railroads, shipping, aircraft, telegraphs and postal services, etc. These producer groups will be able to devise various new formats (which may well be wholly unforeseen) tailored to the needs of the revolution and, as changes are made to factories, oversee major workforce redeployments; but if we want socialization to be effective and in fact to retain direct management of production and render it equally beneficial for all, they will not allow the imposition of any political superstructure, no matter how proletarian it may call itself. At the same time, these economic organs will be political or administrative organs too; the basic economic unit will be the political unit, as the argument of the old, federalist International had it. Of course there will be delegation of labour; but the power to frame laws and have them enforced must be bestowed upon no one…. But – I hear someone object – what assurance does the public have against the de facto monopoly wielded by each of these associations? Who is there to stop the producer association from looking after its own corporate interests first and foremost, neglecting the needs and preferences of the consumer and foisting inferior and inadequate goods upon him? Who? Why, the public itself, it being a producer also and furnishing the membership of all the producer associations. The public itself, master of the means of production and from which each of the producer groups receives its delegated service. Or would you rather a government, which, in forcing its own rules upon other people’s work, would be primarily looking out for itself and its followers and servants? The real monopoly (and when we use that term we are not generally using it in the legal sense of lawfully-enshrined exclusive rights over manufacture and sale) is the de facto monopoly exercised by a tiny band of actual possessors of the means of production over the heads of a mainly proletarian public bereft of any of the instruments of production and of effective means of defence. On the other hand, the wage-earners working for that monopoly as mere instruments have not the slightest input into it, nor do they derive any benefit from it. In the communist society, it is the actual managers-associated workers who make up the entirety of the public and their units are of equal standing, one with another. Thus every association member who happens to ignore the public interest will soon discover, in his capacity as consumer, the dangerous implications of such short-sighted selfishness. What is more, if he, in his capacity as a consumer, is dependent on other corporations, they are equally dependent on him in terms of production, given the extreme complexity of the modern labour in which he is engaged. The latter could not proceed without the contributions and good will of those who extract the raw materials for industry, those who carry out various transformations of it prior to the finishing of it, those who transport it, those who build the plant, those who supply the machinery and fuel, etc. Once this interdependency and solidarity is outlined to him, the producer-consumer quickly catches on to the individual and social benefits of cooperation and the need to properly serve the public – the public being all the associated workers. In most instances, anyway, the pressure of public opinion (a lot more homogeneous than it is today) brought to bear by men in the same circumstances would be enough, and that public opinion can be constantly stimulated and informed by freer and more enterprising minds. Even today, in spite of the range of antagonistic interests that bring forth a thousand schools of thought that counteract and neutralize one another, and in spite of the people’s weakness (the people being ingenuous in every respect) it is often the case that shifts in opinion achieve splendid successes without violence! The ultimate and telling guarantee is the right enjoyed by all in a communist society to join any one of the producer associations and avail themselves of the instruments of labour in its care. Ultimately, but for the existence of that right backing up all the other defences available to the public, those defences would eventually lose their effectiveness – just as popular protests and movements today lose theirs once the oppressors become convinced that armed insurrection is a material impossibility. Unless we want the means of production not to be socialized and authority not to be done away with, the trade union, the professional association of the future, must be open and not claim exclusive ownership of the means of production. Everybody who so desires should be free to switch jobs or indeed to set himself up as a sole producer. When, say, the local union has passed the optimum point and the size of the association is no longer of service in grappling with complexity and loses its appeal to the individual, those who are of that mind should be able to set up a separate federation or commune alongside it. This freedom does not mean… mandatory variation or instability, any more than freedom in love means instability in one’s associations or any duty to flit from one affair to another. On the contrary, for the good of the individual, for the good of humanity, it is only proper that a sexual union should be lasting and it is very much in this interest and to that end that it should not be inspired by economic considerations, or any compulsion or motive other than genuine attraction; and that it should not be underpinned or prolonged by any bond other than mutual love, the love of the individual and shared inner feelings and a deep-seated appreciation of the educational advantages of home life. That it should be voluntary is the best and most solid guarantee of the union and its affection. In social life too, this is the only way of determining the worth and extent of liaisons, the only way of matching temperaments, the only way that producers have of directly administering things for themselves. As for defending the public, the methods we have mentioned will certainly suffice: the force of public opinion in an egalitarian society and the interdependence of associations and individuals, whether as producers or as consumers. And we can rest assured that they will suffice all the more, the more certain and effective the right enjoyed by every single one of them to freely avail themselves of the means of production and ready access to the producer associations. Such rights lie at the very heart of a communist society which, but for them, would degenerate into monopoly and authoritarianism. But during the period of reconstruction, which is one we are mainly concerned with here, we will be dealing with the workers bequeathed to us by today’s society, workers ill-equipped for variety, sorry to say. Later, with a proper division of labour through the widespread and mighty assistance offered by machinery, with the eradication of parasitism and pointless labour, production of necessities will take up less and less time, leaving us with many leisure hours. Progress can be measured by the number of such hours. During them, the individual can look after his intellectual, moral, recreational, artistic needs and so on, or even secondary economic needs. Thus he will be able to switch between one occupation and another, and direct his activity down a thousand different avenues, marrying intellectual with manual labour. Here we have the ever-widening realm of fluid and flexible associations held together by all manner of affinities. Even today we can see this natural division at work. Alongside the trade unions, which are not everything, but stand for the essential interests of life, there are like-minded groupings, countless more pliable associations concerned with society’s moral, intellectual, aesthetic and emotional life. In the future, we imagine that the same division will persist: the trade unions, which are in any case open to all, will look after public services; other groups will look to the very important remainder of social life. The very fact that the individual’s right of free access to the means of production is the very cornerstone of a libertarian society (one that is free in practice, rather than just in the letter of the law) not only is no impediment to association but is no barrier either to the establishment through voluntary pacts of norms that render exercise of that right feasible and easy, reconciling it with the public interest of which it is, in effect, the ultimate guarantor. And the individual gladly abides by these freely accepted rules, which can always be amended in the light of the lessons of experience, because once his right is positively assured him, and not just asserted in theory, once he can actually exercise it, his chief concern is to see that work and society function smoothly, because of that very interdependence of interests that we have been examining. – But what if we are talking, not about simple organizational norms, but of a concrete undertaking that does not admit of two simultaneous solutions? What if there are two opinions that cannot be reconciled? Which is to step aside? The minority view? Or should the venture proceed? – In all likelihood, because of the need to hammer out agreement, the majority, bereft of any means of coercion, will make every concession and offer all sorts of assurances just to win the support and assistance of the minority, and the latter, not out of any obligation, but rather prompted by the very same need, will end up giving in to the greater number, especially since, faced with a choice between a fait accompli not quite entirely to our liking and nothing at all, the former is always the better option. – But what if the majority’s plan were, in the eyes of its adversaries, a genuine calamity, an utter evil? – To tell the truth, folly due to incompetence and public calamities for private profit are the stock-in-trade of governments today, pressing ahead stubbornly and frequently in the face of all warnings and counter-arguments – unless there is resistance coming from the government camp. Let us hope that men who are free and equal, directly administering their own interests, will be more rational and far-seeing, and that when it comes to actual projects, these will be sorted out without such diametrically opposing disagreements between the experts and the interested parties. – Sorry! It is not a matter of an imposed law, but rather of a rational expedient willingly embraced. Furthermore, what in democracies goes under the name of “majority rule” is in fact the rule of a tiny minority. Since there is delegation of power, no matter how genuine, honest and guarantee-girded the suffrage may be, the outcome, filtered through parties, regionalism and the contradictory interests of the thousand electoral and parliamentary subdivisions, is still, inescapably, law imposed by a minority. – You speak of freedom in choice of trade. But what if vocations and individual wishes do not tally with society’s production needs? What if some services are short of manpower while other trades are over-manned? When there is not the allure of higher wages, nor the bosses’ authority to make cuts? – Look into the reasons why there is a manpower shortage, improve the least sought-after jobs in terms of technique and hygiene or cut working hours. Later, the advancement of machinery, health and work organization will have an ongoing tendency to remove the differing degrees of difficulty, drudgery and healthiness separating the trades. And if, in spite of all this, a crucial and irreplaceable service remains understaffed, there is still the option of all those concerned taking turns to help out. As for work that no one is willing to perform, there will be nothing but for it to be done by all of the able-bodied, if it represents a genuine shared need.